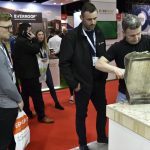 The Roofing Cladding & Insulation (RCI) Show 2019, has supported the construction industry’s efforts to increase professionalism in the sector with the introduction of a new conference programme at the most recent event. The RCI Show took place on 27-28 March at the Ricoh Arena, Coventry and for the first time, hosted a market-leading conference programme. The addition of the new conference programme further enabled visitors to support their knowledge of developments in the sector and to spend invaluable time networking with exhibitors from across the industry. The conference programme was curated by the editorial team at RCI magazine and attracted outstanding speakers from leading manufacturers, technology experts and supporting organisations. 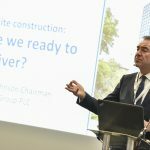 The conference opened with Vivalda Group, Chairman, Peter Johnson discussing off-site construction and the sector’s readiness to deliver on the promised benefits. Further conference topics included, the future of fire safety in construction, asbestos awareness, green roofs, mental well-being, diversity and exploiting drones and infrared technology to evaluate cladding in high rise buildings. The two-day conference concluded with a panel debate, Calling Time on Brexit. Industry stalwarts, Brett Amphlett, BMF, Claire Curtis-Thomas, BBA, James Talman, NFRC and Pauric Hilferty, Kytun Dry Roofing Products discussed the issues critical to the future success of the roofing, cladding and insulation sectors in the UK. The RCI Show will return to the Ricoh Arena, Coventry on 25-26 March 2020 with a vibrant conference programme alongside a new Innovation Theatre, where manufacturers will be showcasing the very latest tools and construction technologies.